Robert De Niro, considered one of Hollywood’s greatest performers—living or dead—is something of an acting paradox. While some of the best actors completely disappear into their roles to the point where they are unrecognizable, and others take over their characters with their real-life movie-star charisma, De Niro somehow inhabits both those traits, simultaneously and contradictorily. 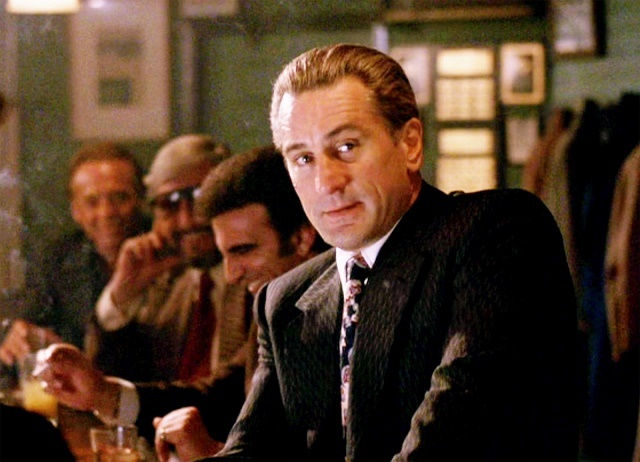 His roles range from Italian mobsters to disapproving Dads to Frankenstein’s monster to militaristic authority figures, each character both totally unique and completely and utterly De Niro. With a legendary career spanning decades, it’s hard to say what his best and what his worst roles are, though it’s not hard to miss his fruitful collaboration with director Martin Scorsese. The two, with similar backgrounds and upbringings, worked closely together in the 70s and 80s and brought about some of De Niro’s finest work. With that in mind, we thought we’d take a look at some of DeNiro’s greatest moments as an actor. It’s no coincidence that four of them were directed by Scorsese. 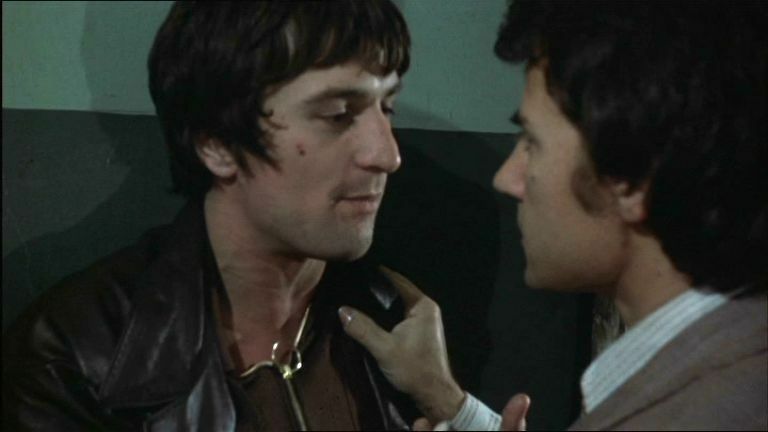 Robert De Niro was thin, hungry and an undiscovered force when Scorsese had the foresight to cast him as Johnny Boy in Mean Streets, a film heavily influenced by Scorsese’s New York, Catholic upbringing. Johnny Boy was a livewire—dangerous, charming, unpredictable, funny and frightening. De Niro made the larger-than-life character gritty and grounded, delivering a performance that didn’t just ignite his career but an entire movement of method, raw, urban style of acting. 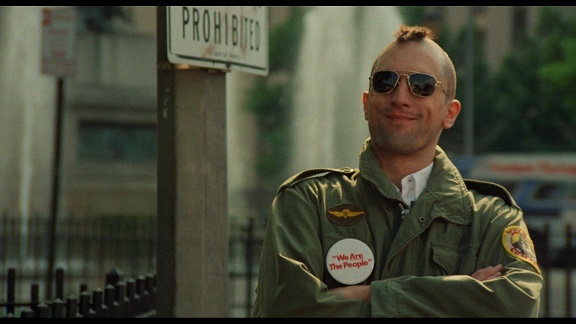 Taxi Driver was the complex story of a man whose sanity and motivations were constantly called into question, an apt metaphor for post-Vietnam America. De Niro, who drove cabs for weeks in preparation for the role, gave an honest pathos to a character most people would cross the street to avoid in real life. His performance has reverberated past the scope of the movie and into cultural legacy, be it with his famous mohawk, his “You talkin’ to me?” soliloquy, or, even darker, his influence on attempted Ronald Reagan assassin John Hinckley, Jr.
De Niro dramatically gained weight to put on the muscle (and post-career flab) of real-life boxer Jake LaMotta in biopic Raging Bull. A physical product of his devotion to acting and inhabiting his roles, in some ways it changed his look permanently—De Niro never quite had the lean look that defined his more deranged 70s characters again. However, it only added to his performance of Jake LaMotta as a brute of raw power with heart and unyielding passion, a charismatic beast who was most dangerous when he was vulnerable. 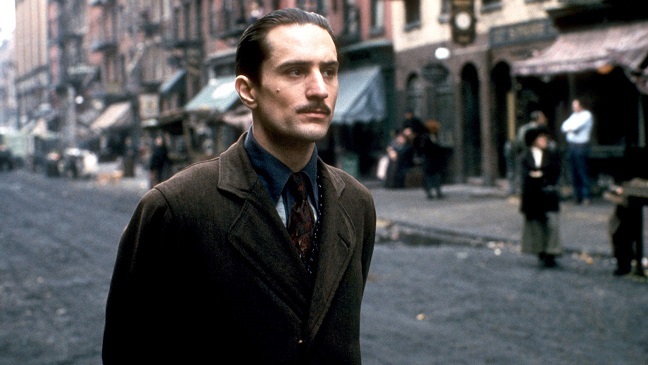 In some ways, playing the part of a younger Vito Corleone was a passing of the torch to De Niro from the similarly styled acting legend Marlon Brando, who won an Oscar portraying Vito in the original Godfather. 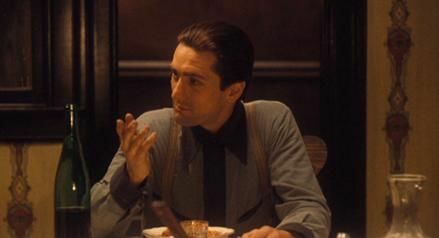 De Niro learned a Sicilian dialect of Italian and spoke it fluently throughout the film, a testament to his method approach. 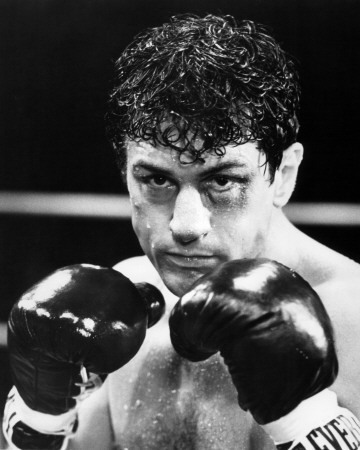 While just as menacing as Johnny Boy and LaMotta, De Niro played it quiet, showing a restraint that contrasted Mean Streets but belayed his power as a cinematic performer. He not only accepted the torch from Brando but carried it forward, earning an Oscar (Vito Corleone is still the only character to give two separate performers an Academy Award) and coming into his own as the definitive actor of his generation. By 1990’s Goodfellas, DeNiro had become firmly settled into his role as one of Hollywood’s elder statesman. Moving from the young hothead leads of the 70s and early 80s, De Niro portrayed mobster mentor Jimmy Conway with a weary mellowness. However, a master of subtlety and layers, De Niro showed the dangerous, violent criminal lurking just beneath the skin, erupting brutally yet fluidly to the surface amidst a laid-back, humorous performance. De Niro mastered the tempered-yet-flustered attitude of Conway so well that it’s since defined his public persona and many of the roles he still knocks out of the park to this day. So, those are our picks of De Niro’s best acting performances here at the New York Film Academy. Which movies do you think he excelled in? Please let us know in the comments section below.